“On receiving the sad news of the death of your dear brother, His Excellency Mister Fidel Alejandro Castro Ruz, former president of the State Council and of the Government of the Republic of Cuba, I express my sentiments of sorrow to Your Excellency and other family members of the deceased dignitary, as well as to the people of this beloved nation,” the Pope’s Spanish-language telegram reads. “At the same time, I offer prayers to the Lord for his repose and I entrust the whole Cuban people to the maternal intercession of our Lady of the Charity of El Cobre, patroness of this country,” he said. Baptized a Catholic as a child, Castro was educated by the Jesuit order to which Pope Francis belongs. Despite his religious upbringing, Castro was an avowed atheist throughout his life. Fidel Castro took power in Cuba in January 1959 after an armed insurgency that toppled dictator Fulgencio Batista, and he subsequently ruled Cuba with an iron fist for nearly 50 years. Castro declared Cuba to be an atheist state when he rose to power and suppressed the Catholic Church during his reign, expropriating Church properties, exiling or jailing priests and religious, closing Catholic schools, and banning the celebration of Christian holidays. In 2006, Fidel ceded power temporarily to his brother Raúl Castro. Two years later, due to his worsening health problems, the succession became final. 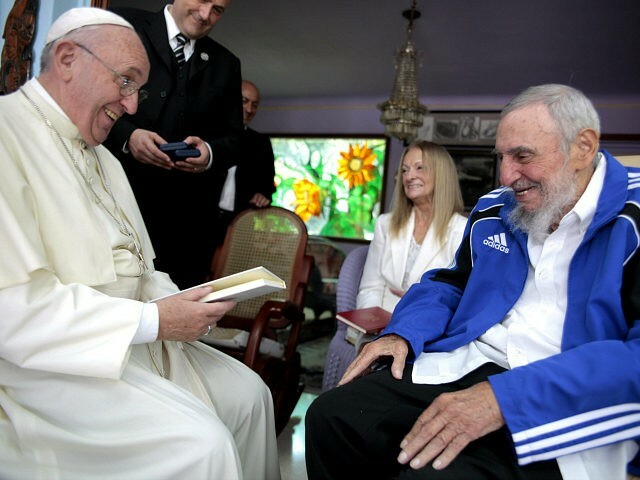 In September 2015, Pope Francis became the third pontiff to visit Castro’s Cuba after St. John Paul II and Benedict XVI.